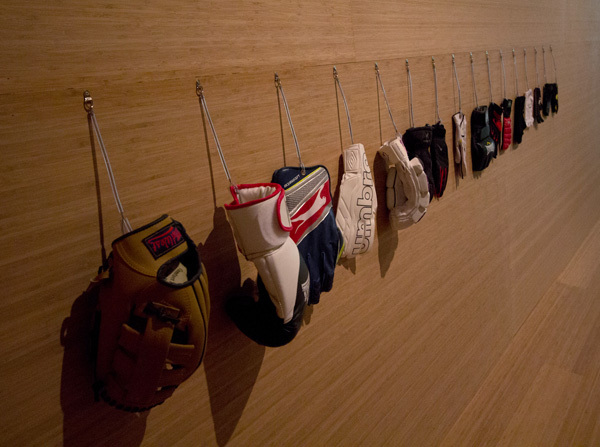 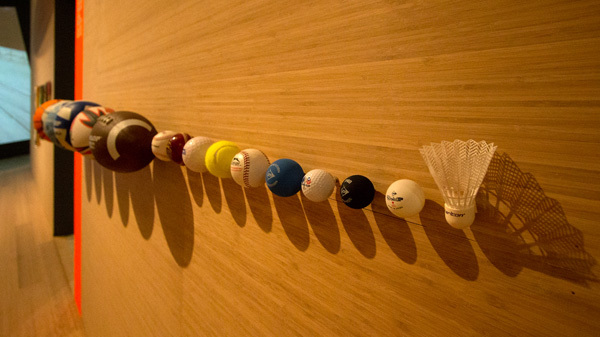 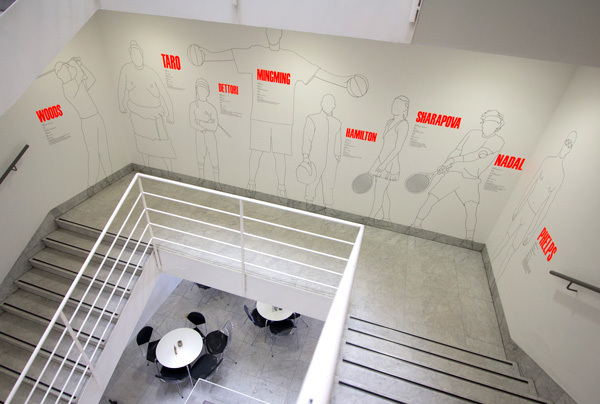 The staircase leading to the exhibition features the silhouettes of famous athletes and their vital statistics. 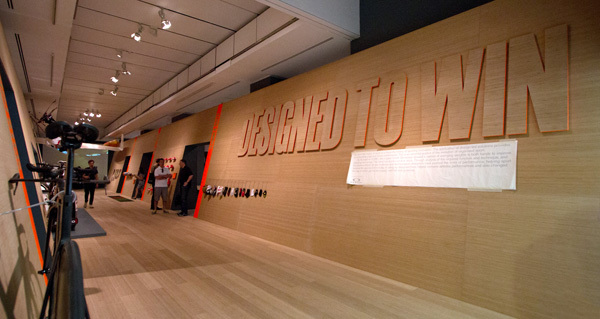 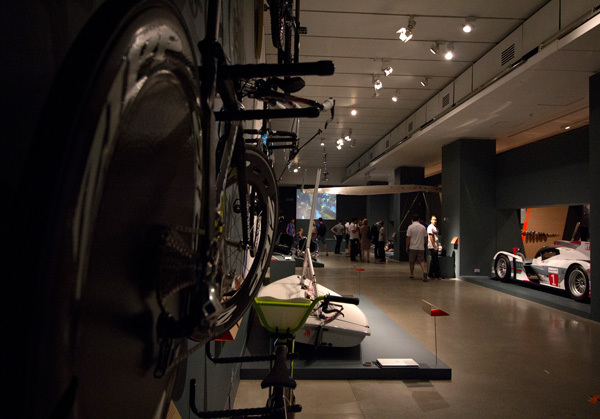 The bamboo central corridor is meant to represent a velodrome racing track. 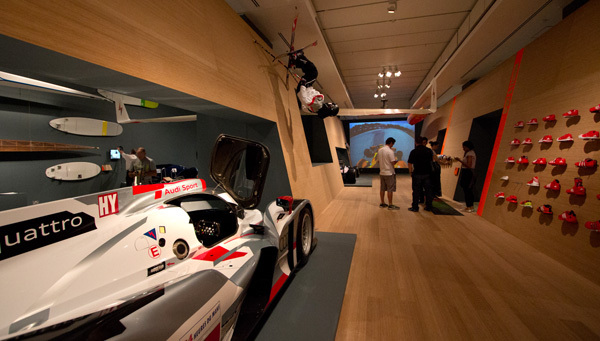 Sporting bicycles and a look through to the Audi R18 E-tron Quattro LeMans racing car. 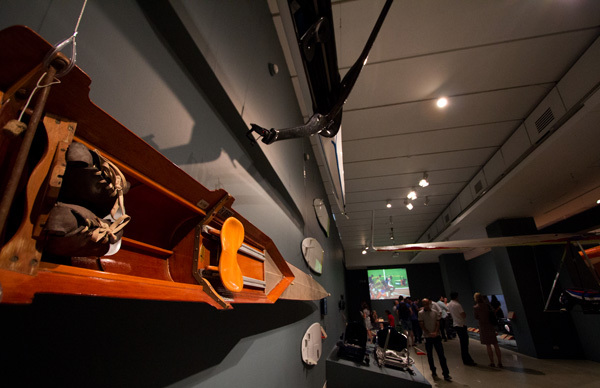 An early wooden single seater sculling boat c. 1900 below a modern day racing boat. 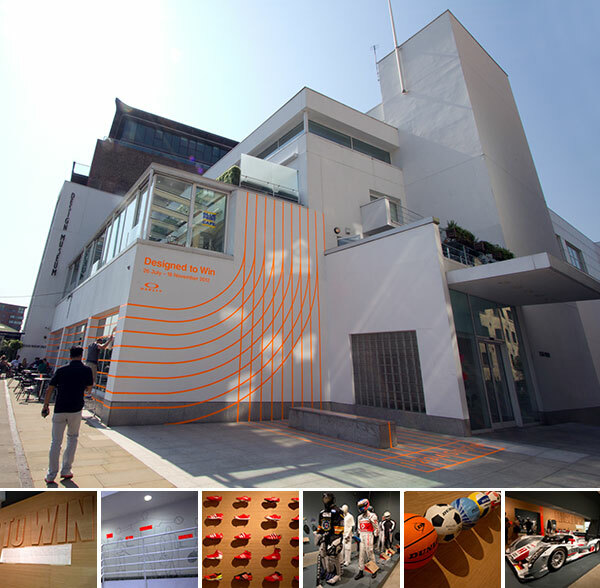 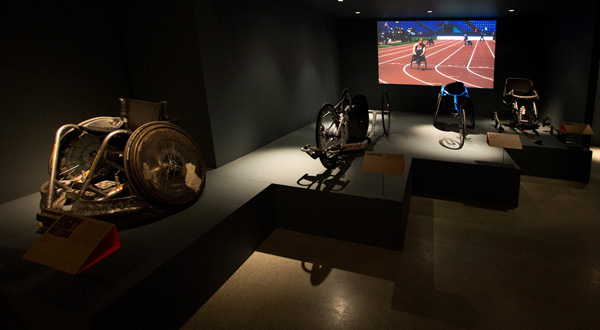 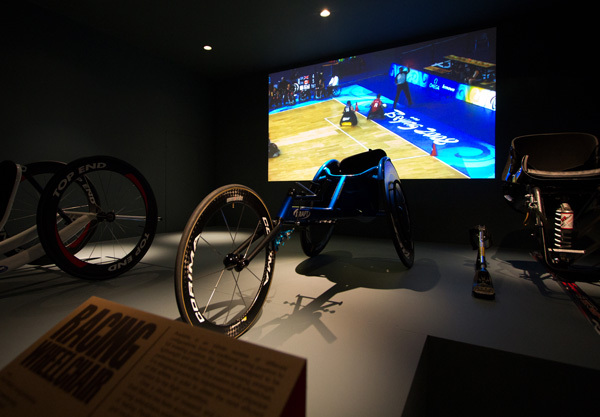 Impressive aerodynamic designs in racing wheelchairs have a sculptural beauty. 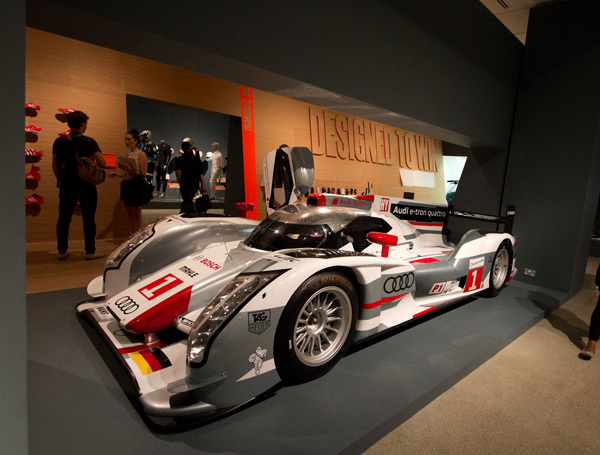 The Audi R18 E-tron Quattro LeMans. 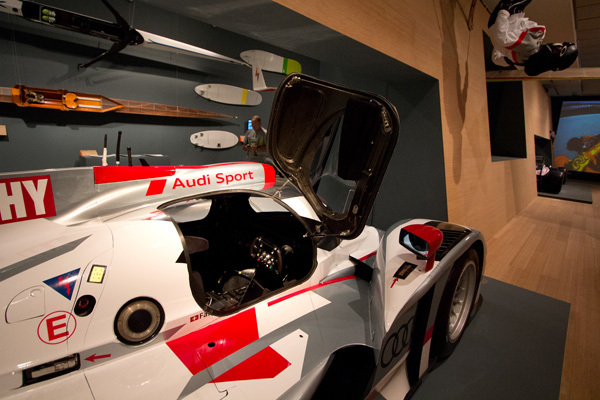 And a peek behind the wheel! 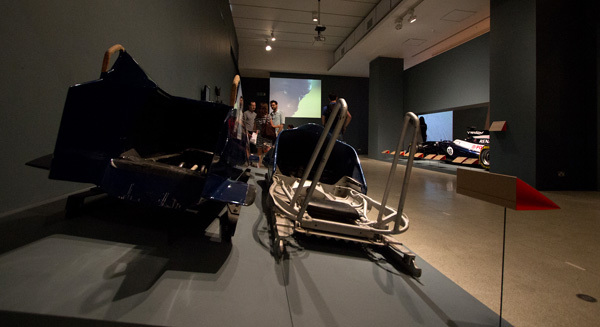 The current and 1964 two-man bobsleighs. 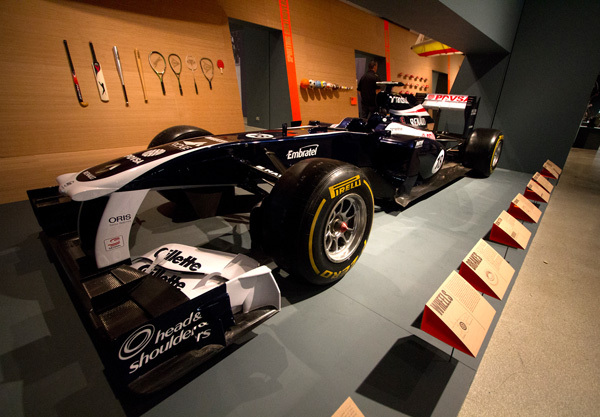 The Williams FW33 F1 Car, a beautiful vehicle, only recently replaced in February by the William’s FW34. 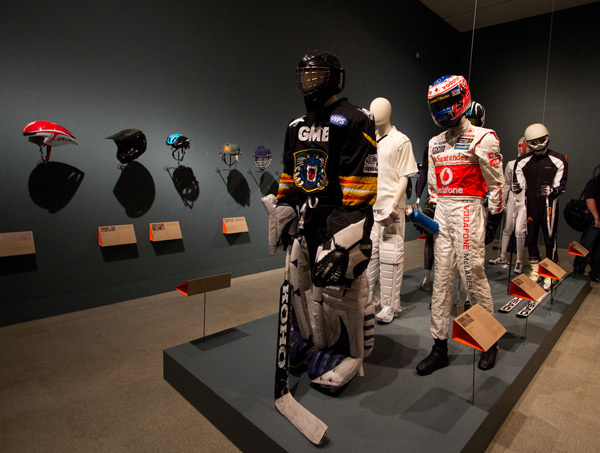 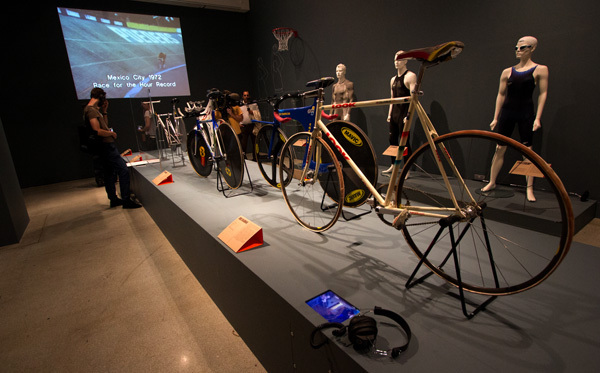 A collection of racing cycles and suits from throughout cycling history. 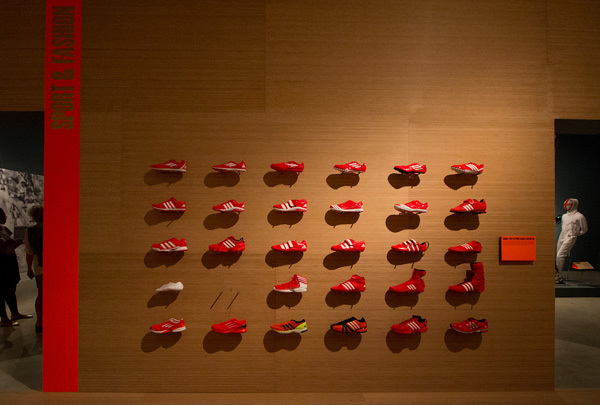 Loved this wall of shoes. 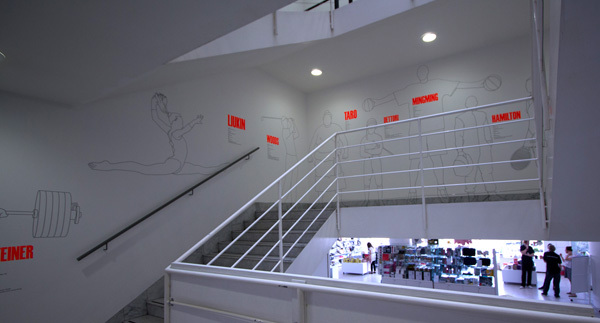 Sadly one was missing at the time (so Cinderella-esque! 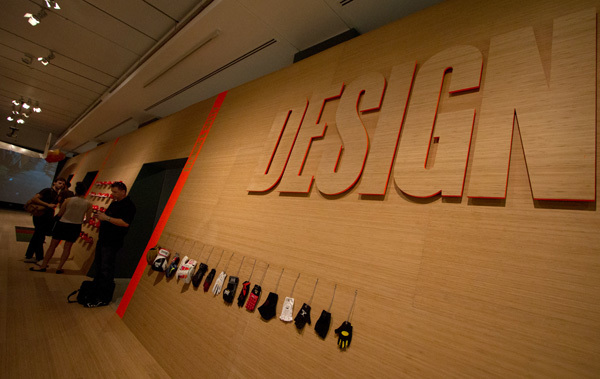 ), but is due to arrive in time for tomorrow’s launch. 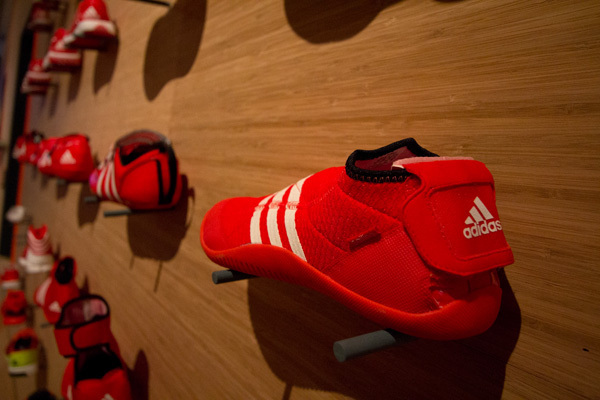 Love the wide variety of styles to suit every sport, yet all the shoes clearly belong to the same family!